Illustrating Nature. Science Illustration Program exhibit. Santa Cruz Museum of Natural History, 2002. Poster. 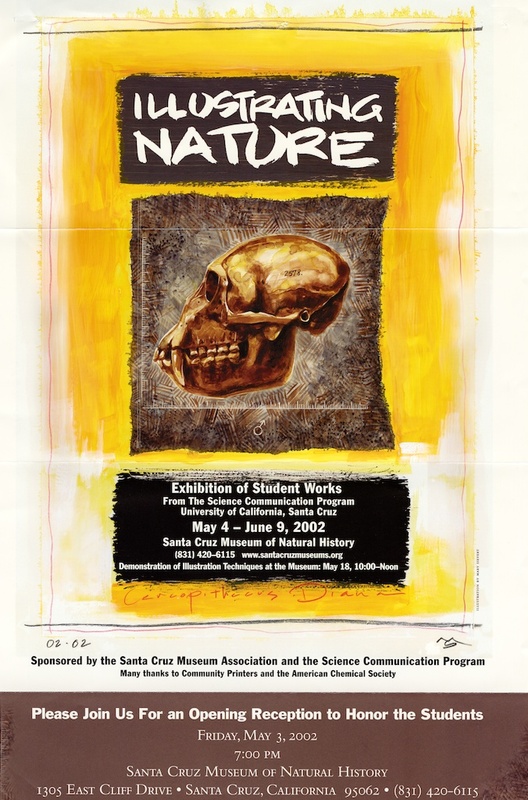 “Illustrating nature (skull),” Digital Exhibits, accessed April 20, 2019, https://exhibits.library.ucsc.edu/items/show/1870.